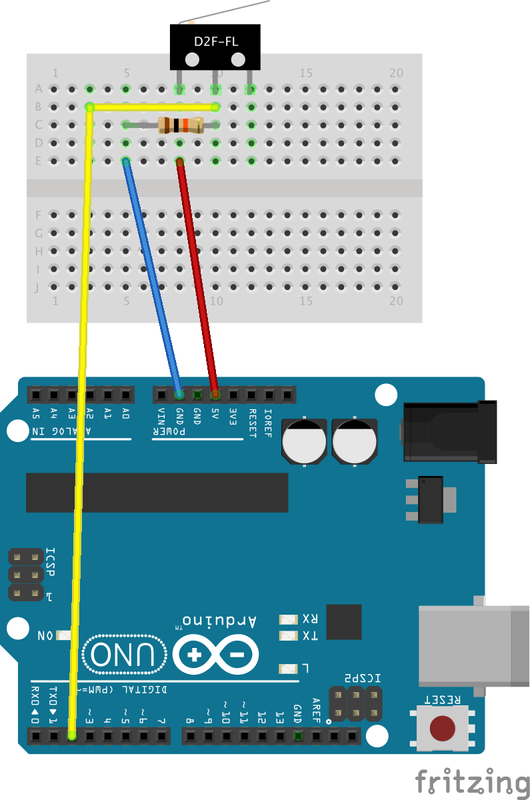 Today we will have a look at how to connect a piezo buzzer to an Arduino and how to generate different audio signals with it. A piezo buzzer is a audio signalling device, it is the most basic electronic component by which to generate sounds at different frequencies. A piezo buzzer has 2 connection terminals, one is connected to GND and the other to a PWM digital pin, for this example we will use pin 3. We will use the tone() function to generate tones at different frequencies, for an Arduino Uno the frequency rage is between 31 and 65535 Hz. Please note that the possible min and max frequencies differ between different models of Arduino boards. The tone() function takes 3 parameters, firstly the pin to use, then the frequency to use and lastly the duration to generate the tone in milliseconds. A RGB LED is a LED that can change the colour of the light it produces depending on which of the LEDs’ Connectors have current flowing through them. The LED has 4 connectors, one connector for red, one for green, one for blue and then finally an anode or a cathode, depending if the RGB is a common anode or cathode LED. So what is the difference between common anode and common cathode? Well a RGB LED is actually a combination of 3 LEDs, a red LED, a green LED and a blue LED. 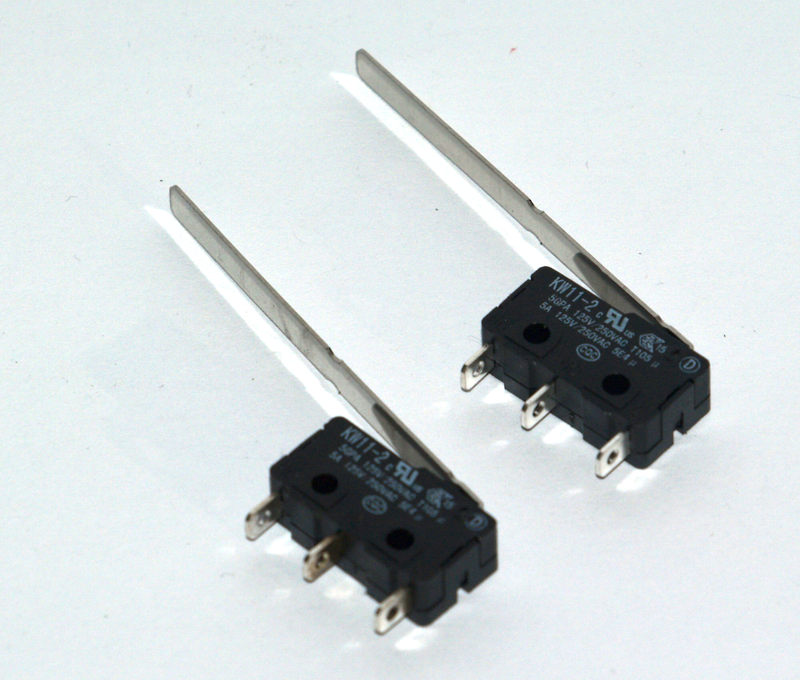 All LEDs have 2 connectors, an anode and a cathode. 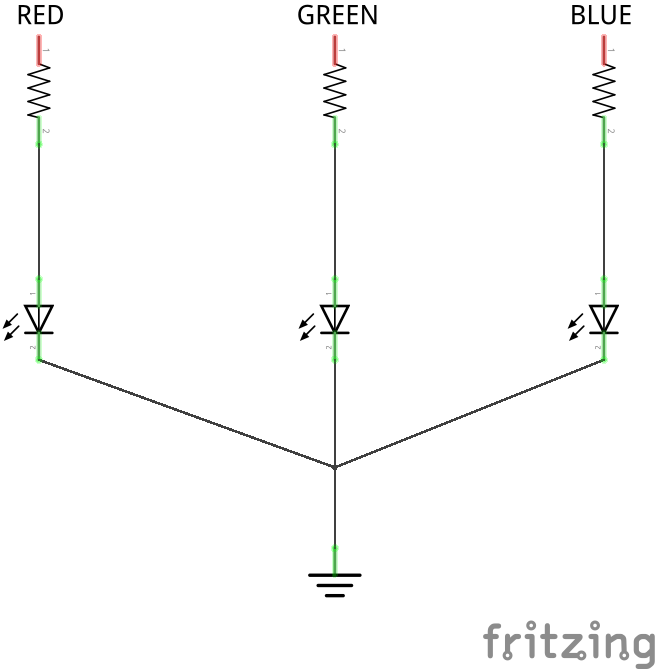 So depending how these LEDs are connected together determines if they share an anode or a cathode, thus common anode RGB LED or common cathode RGB LED. The Anode\Cathode leg can be identified as it is the longest leg on the LED. Below are 2 diagrams that illustrates the difference discussed. Although the circuits and code differ between the 2 types of RGB LEDs, the end results are exactly the same. Try changing the values passed into the setLEDColour function to see what different colours can be created. 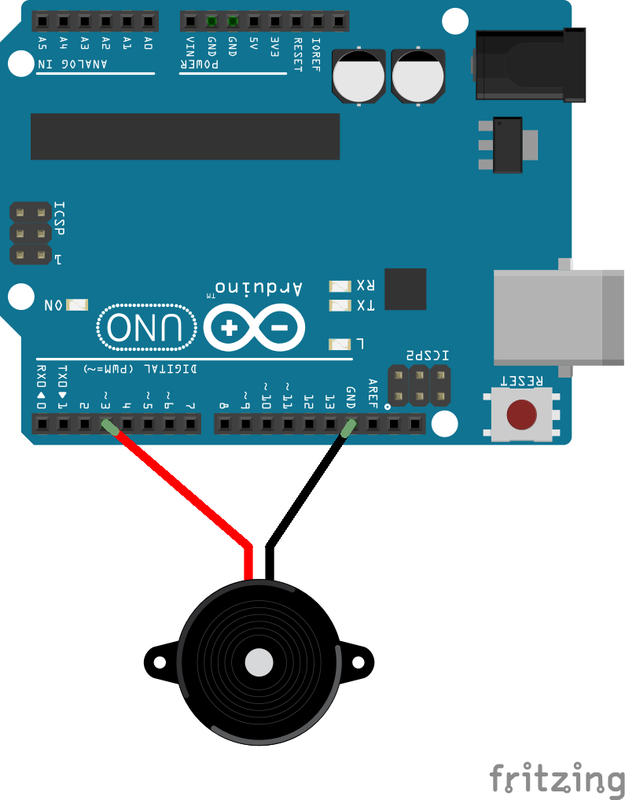 Today we will have a look at how to connect a servo motor to an Arduino and how to control its movement. 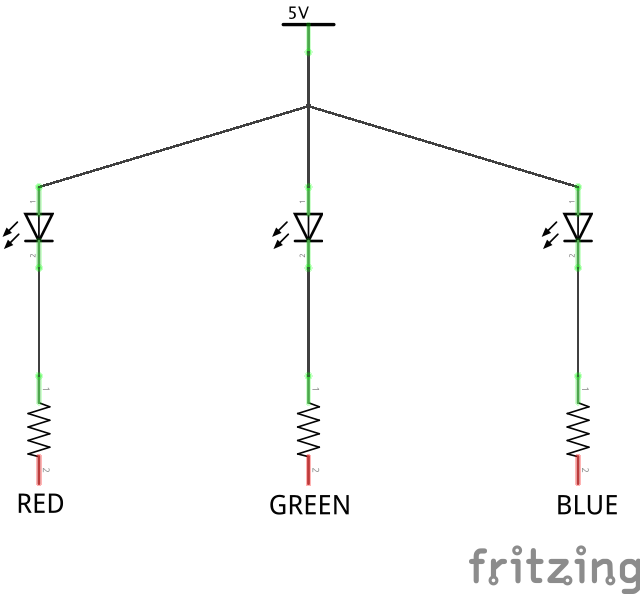 – A red wire for (+) power. – A black wire for (-) power (GND). – A orange, yellow or white cable for signal. 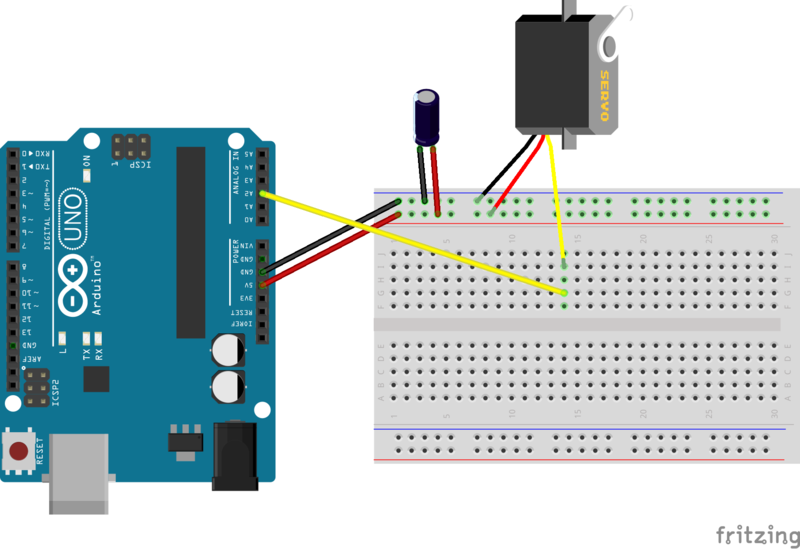 The signal wire of the servo must be connected to one of the analog pins on the Arduino, for the purpose of this example we will use A2. 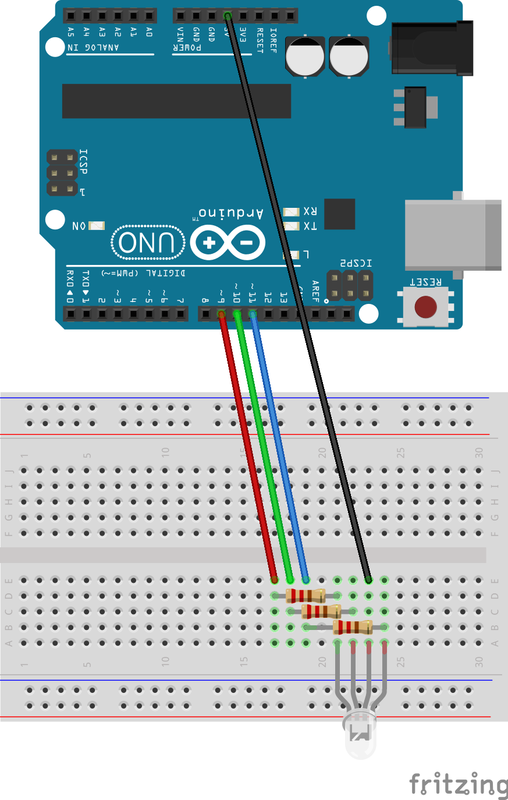 The red wire must be connected to the 5V pin on the Arduino and the black wire to the GND pin on the Arduino. As can be seen in the diagram above – a 100uF capacitor is connected between the 2 power terminals, the reason for this is that it prevents a voltage drop occurring in the circuit when the servo starts moving. A voltage drop can occur due to the fact that a servo consumes more power when starting to move then when it is already moving. 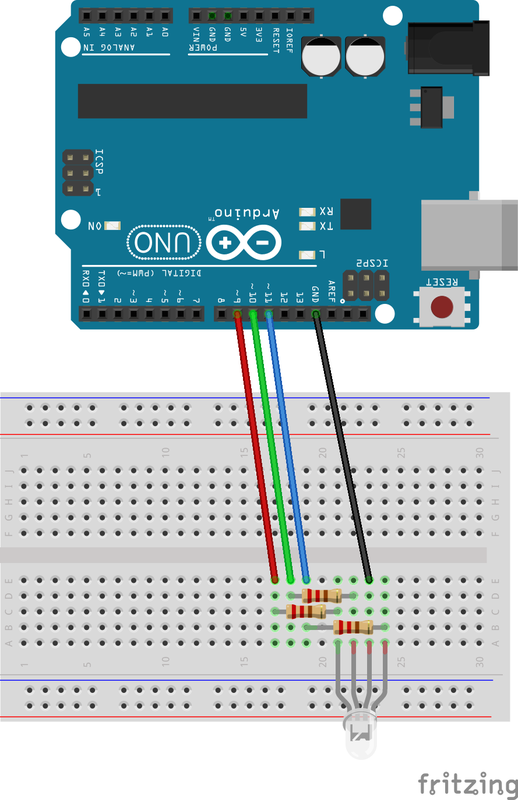 Today we are looking at how to connect a 3 pin snap-action lever switch to an Arduino board and reading when it is pressed. The lever switch has 3 pins – the common terminal, the normally off terminal and the normally on terminal. If the switch is not pressed current will flow from the common terminal to the normally on terminal, however if the switch is pressed current will cease flowing from common to normally on and will start flowing from the common to normally off terminals. For this example we will only utilise 2 of the terminals – the common and the normally off terminal. One leg connecting to the Arduino boards’ ground pin with a 10kOhm resistor in series. The other leg connecting to a digital pin on the Arduino board, for this example digital pin 2.